Covering less than 1% of the ocean floor, reefs support an estimated 25% of all marine life, with over a million aquatic species, including over 4,000 species of fish! Our reefs are precious. Most readers have grown up with images of coral reefs in pristine states; bountiful, iridescent underwater gardens of paradise brimming with life. Just 10 years ago this may have been the case, but sadly In the past three years alone, 25 reefs—which comprise three-fourths of the world’s reef systems— experienced severe bleaching events in what scientists concluded was the worst-ever sequence of bleachings to date (source = National Geographic. 2017). Other catastrophic events are caused by sea temperature rises, disease, invasive species, overfishing, acidification, pollution and human activities. Issues and the problems created by these things have an enormous impact on our planet. 70-80% of the oxygen in our atmosphere comes from marine plants (source = ecology.com) and these ecosystems generate approx. ‘$2.7 trillion per year, or 2.2% of all global ecosystem service values’, including tourism and food. They protect coastlines because reefs absorb the energy from waves, saving the global economy an estimated $9 billion per year. They contain species which perhaps have pharmaceutical compounds that could be used in treatments for some of the world’s most prevalent and dangerous illnesses and diseases. Although the IYOR’s which ran in 1997 and 2008 were great success stories, our oceans are still in urgent need of a continued global effort, to increase awareness and understanding on the values and threats to coral reefs, to support related conservation, research and management efforts. Over 225 organizations in 50 countries and territories participated in the last IYOR (2008), over 700 articles in papers and magazines were generated in addition to hundreds of scientific surveys. Events were held across the globe to promote this hot topic. To all of the people looking the other way, those who think this problem isn't theirs, please learn about the magnitude of this issue. The world's oceans are under serious threat, the repercussions of these failing ecosystems affect every single one of us; we all need to take action now." Public awareness is an essential element of coral reef conservation and it is essential that the value of, and the threats to, coral reefs are understood by the general public. Blue Abyss cares deeply about ocean sciences and the team are excited to further develop the Vision which further raises interest concerning this type of initiative. There are stacks of ways! Check out the IYOR website and sign up to the newsletter for more information and ideas, use your voice on social media, attend events, pledge your support, partake in beach cleanups, plus lots more ideas here! Get the kids involved too! Click here for games, teaching materials, videos and sensational images here. And if you haven't had a chance to play on the ocean version of Google Street View then set aside some time and to enjoy a beautiful collection of galleries including 360૦ panoramic trips of a lifetime. The collections of Malaysia, Indonesian Islands, global oceans and Okinawa are the perfect digital weekend retreat. Perhaps you have a question for an expert? You can ask away here. Article and images kindly provided by Anna Plaster, Head of CRM, Blue Abyss. Learn More About Our Fascinating Ocean! 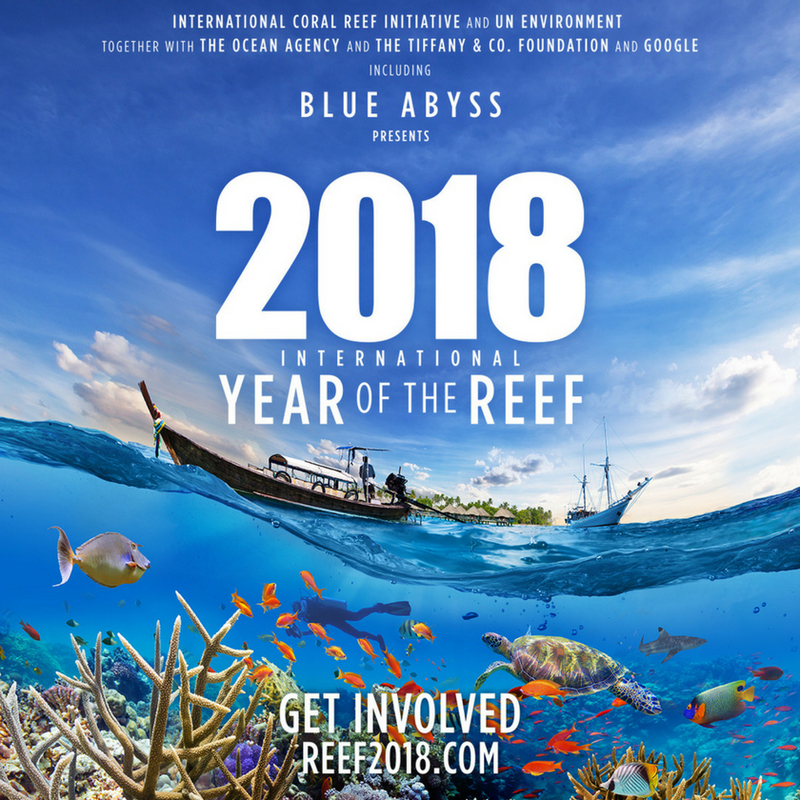 If you dive, check out this initiative with the World Federation Coral Reef Conservation (WFCRC), the R.E.E.F.S. (Research Enhancement Engineering for Seascapes). They are requesting your input for a grassroots effort, to be part of a team of people that want to be “really involved” in reef decline management. As a team member, you and your effort will be associated with this project into infinity, making your dives legendary. Grab a book to enjoy in the summer sun, we're reading a beautifully written book by Sylvia Earle "Sea Change: A Message of the Oceans".